An Amish family has made news by forgiving a hit-and-run driver in Wisconsin. It’s far from the first example of this by the Amish – and we’ve often seen it in much more serious cases (see below). Members of an Amish family who were ejected from their horse-drawn buggy and injured in a February hit-and-run aren’t angry with the driver of the SUV that crashed into them. They asked a judge to make sure that 39-year-old Wonewoc resident Brian D. Daniels, who fled the scene but later was arrested and convicted of three felonies, gets the help he needs. And they wished him well. The two parents — both of whom suffered serious injuries — also told the judge they would appreciate it if Daniels could contribute toward their hospital bills and other expenses, but only if he could afford it. The family could not be reached for comment Thursday, but their statements to the judge are documented in Daniels’ public court file. 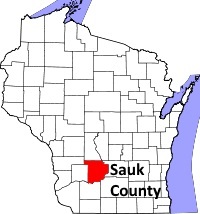 Sauk County District Attorney Kevin Calkins said he was struck by the family’s disposition. The mother, who suffered fractures to her clavicle, vertebrae and hip, seemed reluctant to impose a financial burden on Daniels, who didn’t have insurance when he crashed into her buggy and drove off. These kinds of accidents understandably raise people’s anger levels. But the family’s words here shows they are well aware that humans make mistakes. Anyone with a conscience even after a lifetime of bad decisions is going to have a heavy burden after badly injuring someone due to carelessness or worse. The concern for the offender’s well-being is remarkable. The response to the Nickel Mines school shootings stands as the best-known example of Amish forgiveness. But there have been many other less-reported cases in which Amish publicly forgave. Just 3 weeks after Nickel Mines, an 11-year-old Amish girl was killed by a drunken driver in Michigan. The girl’s father visited the driver in prison on his own initiative, and he was described as having been forgiven at his sentencing. Here’s an example of Amish forgiving an 18-year-old driver who killed five children on the road in 1993. ‘All they want is to get on with their lives and be healed and for Eric to have a life-saving experience and be saved,’ said the chaplain relaying a message from the family. SEYMOUR, Mo. (AP) — A hit-and-run accident took the life of one of their own, yet members of an Amish community have forgiven the truck driver charged with leaving the scene. You’ll find many more with a little online hunting. Here’s an example from Milverton, Ontario. Here’s one from Nebraska. Here’s another from Michigan (the car driver in that case was Amish as well). Here’s another from Indiana. “Part of God’s plan” is a common refrain for the Amish when tragedy strikes. Perhaps that perspective eases the pathway to forgiveness. Forgiveness isn’t a simple one-shot process. The book Amish Grace explores this topic in great depth. But Amish make a regular thing of it, to the point which we might think of it as a defining characteristic. Forgiveness in the face of pain and loss is hardly easy. Even for the Amish who make a habit of practicing it. But it’s reassuring to see such a reliable example of it in today’s world, when so many currents seem to run in the opposite direction. All Christians are called to forgive! I’m wondering if there’s a way to make buggies safer. Seat belts should be used for one thing, and would there be a way to put an extended fender that’s attached to a spring that, when hit from behind, allows the fender to only go in so far, this avoiding the entire buggy from being pushed forward? A separate sliding fender of sorts? I’m obviously not an engineer but I’ve been thinking about that for a long time now. Thanks! Kiki, interesting questions – something like a bumper or a shock absorber? It’s worth thinking about but I’m not sure it would do much good, if you look at the way buggies are designed. Unlike a car, the wheels protrude both beyond the rear body of the buggy and also the sides. I have never observed an accident but I believe what happens it the wheels are typically the first thing hit so it would be difficult to do anything like a bumper on a car (barring some redesign but I’m having trouble picturing how it would look or how well it would work on a relatively flimsy buggy construction). As for seatbelts, it may arguably be better to be thrown from the buggy than to be strapped in to a box which is again not comparable to the chassis of a car. I’m not an engineer either but again it’s worth considering if there are other safety improvements that could be made. I think that buggy makers have surely thought about it but would be limited both by the traditional form of the buggy and to some degree sheer physics. Thanks for your first line by the way, good for all Christians to keep in mind. Yes, Erik, the buggy designers would really need to start from the ground up for safety to really be achieved. Lives, especially those of children, are always worth the effort! Thanks! The idea for the Amish is that the goal of forgiveness is not about forgetting either. Here are a couple of excerpts from Amish Grace on the topic. The Amish we interviewed confirmed what psychologists tell us: forgiveness heals the person who offers it, freeing that person to move on in life with a greater sense of vitality and wholeness. Still, if the Amish provide evidence that forgiveness heals the forgiver, they provide even more evidence that forgiveness benefits the offender. Forgiveness does not deny that a wrong has taken place, but it does give up the right to hurt the wrongdoer in return. Thank you for this sad story of tragedy and great love. Forgiveness is why Jesus came to earth for and when we realize he has forgiven us by his death on the cross we should forgive others. I am so glad the Amish demonstrate this for others to see. It may be very difficult to do but it brings a special joy that comes from obeying the Lord. More stories like this please. Well said, Larry. Glad you appreciated this story, will take note of it. Has anyone thought of opening a gofundme page to help with the medical bills? That’s a nice thought Karen, perhaps someone has. Sometimes in these cases there is a note telling readers they can send in donations the old-fashioned way, to a local bank set up to receive them. I didn’t see it in this case. I have not heard anything in this case but if there is either an address or a Go Fund Me account I’d be glad to update this post. 12-1/2 years ago, my husband was killed in a very strange accident. He was riding his bicycle to work on a two lane rural road. Evidently, he had stopped to take a drink of water in a driveway — some 5-6 feet OFF the road, when an 18-year old came up over the hill in the opposite lane and drove into my husband, not stopping until he’d gone through a fence. He had fallen asleep at the wheel. I can only imagine the horror of waking up to find a man hanging in the car — my husband had gone through the windshield, having been killed instantly! Amid our sorrow, we prayed forgiveness for that young man. In fact, those prayers were the first offered at my husband’s memorial service. I regret not going to him — and always hoped he’d have stopped by to apologize — for his healing, not ours. I admire any and all people who show forgiveness and reconciliation in the face of personal tragedy. This is as we are taught and the way those of faith live: in reconciliation with others, showing the same grace God shows us. Thanks for sharing. That must have been so hard and your loss so great. May your faith in God keep you. Sandra I second what Larry said. Thanks for taking the time to share your story here with us. I know many Amish in Indiana. Their forgiving spirit is getting them killed. There are very few consequences for anyone who hits an Amish buggy in Indiana. Odds are they won’t even be charged with reckless driving, even if someone is killed or severely injured. An Amish friend was hit while driving our pony. He was lucky not to have been killed. He & his wife DID sue the driver for the hospital bills. We got stuck with vet & trainer bills for the pony, who wasn’t seriously hurt, but hurt enough & had her mind scrambled. The driver basically laughed off any responsibility. He didn’t have insurance & he didn’t care who he hurt. I don’t think he was even cited for driving without insurance. I talked to the local police and prosecutors. They claimed there was nothing to charge the driver with. Civil courts were the only recourse. I don’t believe that true. I do believe the prosecutors & police don’t want to be bothered with them. Most of the buggy wrecks in this community happen in the afternoon, and are caused by drivers who live in the area. Neighbors are hitting neighbors. The buggies in this area are already lit up like space ships; I don’t think more lights will change much. I’m not much for zero tolerance laws, but a 5 or 10 year sentence for hitting a buggy would get drivers’ attention. They might even turn off their phones. I’m Catholic, I get forgiveness. But until the Amish decide their lives have some value, they are going to continue to be killed or severely injured. While I’m sure it’s not your intention, your comment does come across as victim-blaming. Please understand we who forgive do so in order to move forward in our own lives without the burden of a grudge in our heart. Victim blaming is what I usually see when an Amish family suffers a loss – they shouldn’t be on the road, there should have been more lights on the buggy, blah, blah, blah. What I rarely see is any consequences for a driver hitting a slow moving vehicle in broad daylight. I’ve heard Amish victim blame other Amish who’ve been hit by a car. I know of 2 local boys who recently ended up in ICU. Their aunt said the problem was them being on the road at dusk, not the woman who hit them. My sister rear-ended another car on an interstate, caused some moderate property damage and no injury and was charged with traffic violations. A man rear-ended a buggy, caused significant human injury and damage, and did not receive any points on his license. You think that is right??? It is frustrating. It is frustrating to see friends and their families in intensive care because there are no consequences for hurting them. It is great for an individual to forgive someone for killing their child, husband or mother. That is a wonderful thing. That the individual forgave an assailant does not absolve the state from the responsibility of imposing civil penalties. The root of my frustration is state & local governments who do nothing. NOTHING. I think the Ams could be a little more protective of themselves and their families. If saying it’s possible to forgive the offender, but still request the state & local LEOs enforce traffic laws is victim blaming, them I’m guilty. Respecting the sanctity of life includes respecting the sanctity of your own life. The 2 boys I mentioned above were hit by an older woman who frequently worked as a driver for the local Amish. After hitting the boys, she decided she should no longer be driving. That left some Amish without a driver. Those Amish called up the grandmother of the injured boys and blamed her for the driver giving up her license. The boys were still in ICU with head injuries when the calls were made. And I’m the bad guy for thinking that bad drivers should get reckless driving tickets. Okie-dokie. Amy I understand your point of all human value. The problem is when you start defending your rights it never stops. Love and forgiveness overcomes evil and injustice. The world demands justice and its greatest need is forgiveness through love. Being justified and alone is not the goal. God’s love and mercy through Jesus is the answer. When I read through this article again, all of the instances of forgiveness illustrated are when the offender was tried and convicted by the state. Do you guys think forgiveness obviates the need for a criminal conviction when a statute is clearly broken? Should a drunk driver not be convicted simply because the victim has forgiven the injury? I totally agree about pursuing justice but when it doesn’t occur choose mercy instead of rights. The Amish have been a good example and sometimes it looks like neglect. There should always be room for trusting in God. Sometimes being taken advantage shows the most love! Guest Post: Friend, or Facebook Friend?